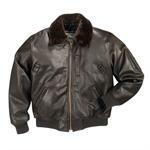 Once you read the mission statement from Cockpit USA, formally know as Avirex jackets, you will know the quality of people you are working with. 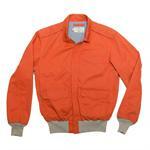 They seek in short to preserve American heritage and aesthetic by reproducing authentic classic American designs". 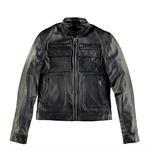 Cockpit leather jackets are now world renown for authentic quality and true design. 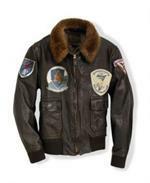 From the classic A2 jackets right through to the post modern flying jacket you will be captivated by the selection and look you will be offered by this line. 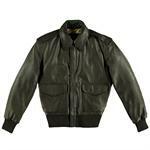 The bomber flight jacket is made by many but none of them are as concerned with authenticity as Cockpit. 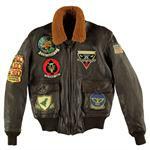 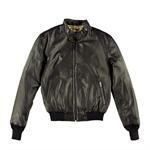 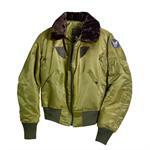 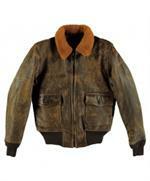 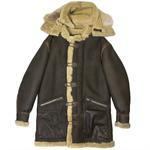 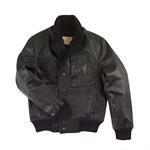 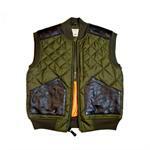 The leather flight jackets here for example are also made and issued to the U.S. Navy. 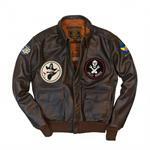 The official Navy leather flight jacket (as well as for the U.S. Coast Guard) is produced by Cockpit USA. 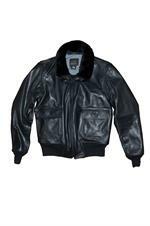 The B 3 Bomber jacket is a cold weather model everyone should take a look at this shearling jacket is a classic made for extreme cold and is still as effective in keeping you warm in subzero temperatures. 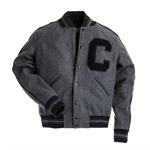 We find this model a real furnace on the coldest days. 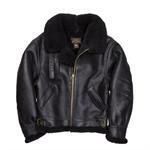 In sum, when is comes to a sheepskin bomber jacket, leather aviator jacket, leather military jackets or G 1 jackets you have just found the right place. 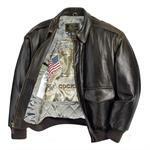 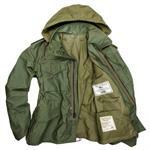 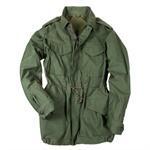 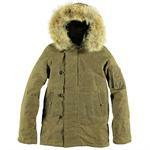 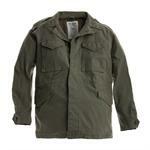 These jackets are produced by the same government contractors that produce leather jackets for our military. 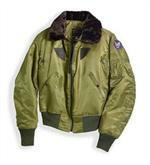 We are proud to be a retailer for Cockpit USA. 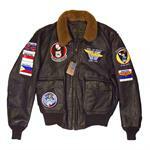 These are official contractors to the US Navy & Coast Guard for leather flight jackets. 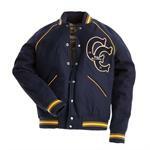 We are proud to be official retailers of Cockpit USA. 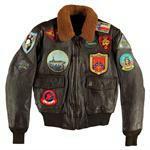 Remember these are the same people that make official leather flight jackets for the US Navy and Coast Guard.